Saggy skin on the legs, arms and stomach often represents a natural and inevitable part of the ageing process. As we get older, our body’s ability to produce and maintain natural collagen and elastin diminishes, which can result in the appearance of saggy skin across the entire body. Nevertheless, it is often saggy skin on the arms, legs and stomach that becomes most pronounced and problematic. While painful and potentially risky cosmetic surgery is an option, it’s also perfectly possible to address saggy skin through comprehensively non-invasive cosmetic treatments. Here at HSA Dermal Clinic, we specialise in a wide variety of saggy skin treatments for the legs, the arms, the stomach and the rest of the body. Irrespective of the cause and severity of the issue, we’ll guide you through an extensive range of cutting-edge treatment options and ongoing corrective skincare programs. Contact a member of our specialist team today for more information. 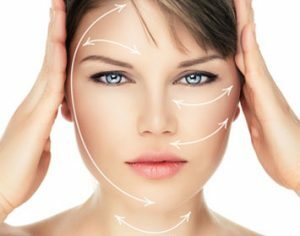 The most effective approach to saggy skin treatment in London is the correction of the root cause of saggy skin. In most instances, saggy skin is caused by the diminished capability of the body to produce the collagen and elastin that provides the physical structure and framework for the skin. Here at HSA Dermal Clinic, we approach saggy skin treatment by encouraging the rapid and healthy production of new collagen and elastin, restoring the skin’s supple texture and youthful glow. Even if prior attempts at saggy skin treatment in London have delivered disappointing results, our cutting-edge non-invasive treatments could make all the difference. By taking a holistic and dynamic approach to the treatment of saggy skin, we consistently provide every client with unbeatable results and guaranteed value for money. Contact a member of our specialist team today, or pay us a visit at our clinic at the heart of London anytime.